↑ 2.0 2.1 "National Population and Housing Census 2011 (National Report)" (PDF). Central Bureau of Statistics (Nepal). وقت 18 April 2013 تي اصل (PDF) کان آرڪائيو ٿيل. حاصل ڪيل 26 November 2012. 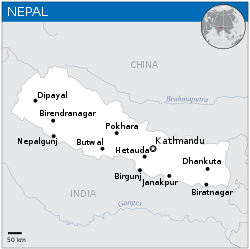 ↑ 2011 Nepal Census Report آرڪائيو ڪيا ويا 18 April 2013 حوالو موجود آهي وي بيڪ مشين. ↑ "Krishna Bahadur Mahara elected Speaker". My Republica. حاصل ڪيل 18 March 2018. ↑ "Honorable Mr. Deepak Raj Joshee". supremecourt.gov.np. حاصل ڪيل 18 March 2018. 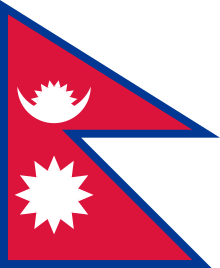 ↑ "Nepal5". Royalark.net. حاصل ڪيل 14 February 2014. ↑ 9.0 9.1 9.2 9.3 "Nepal". International Monetary Fund. حاصل ڪيل 12 March 2016. هيءُ صفحو آخري ڀيرو 16:54، 27 جُولاءِ 2018ع تي ترميميو ويو هو.